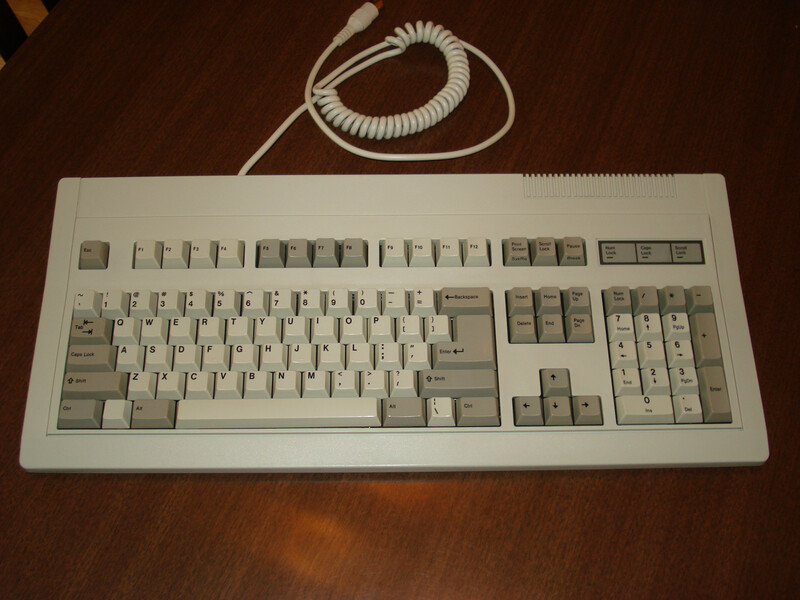 If it wasn't for this darn forum, I'd still have only the Model M and the Leopold. Look what you did to me! I numbered them in the order I got 'em. I found geekhack between #3 and #4. 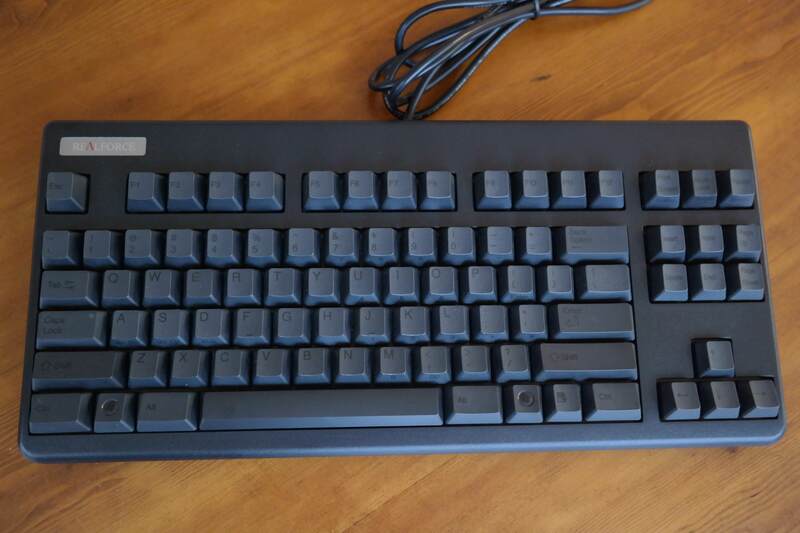 (#3) Cherry MX browns. MiMic cable! 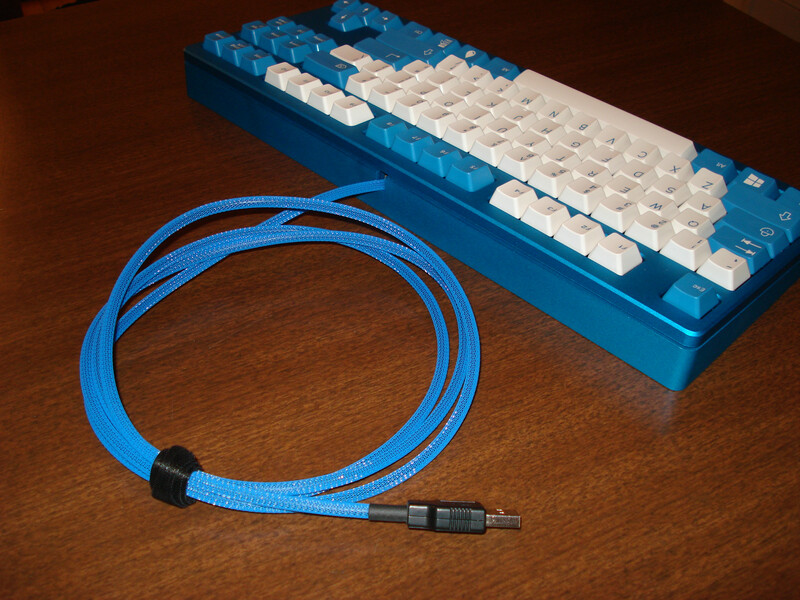 (#5) Cherry MX blues. #343 "Guilty Spark". 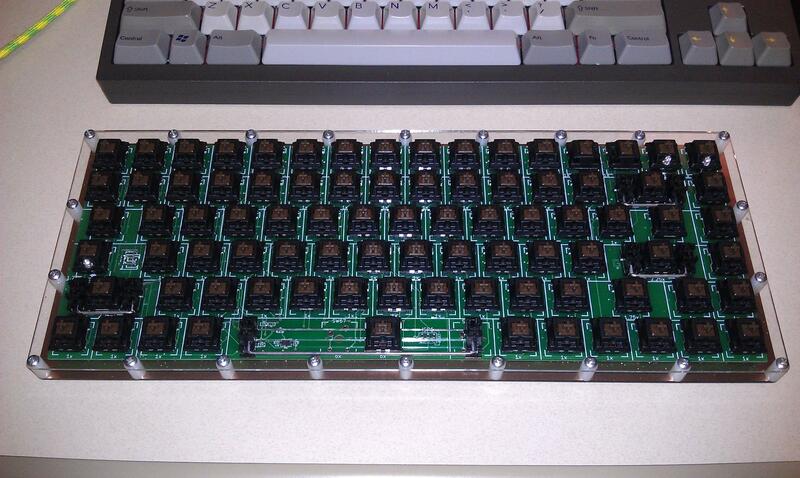 Crystal keys from techkeys. 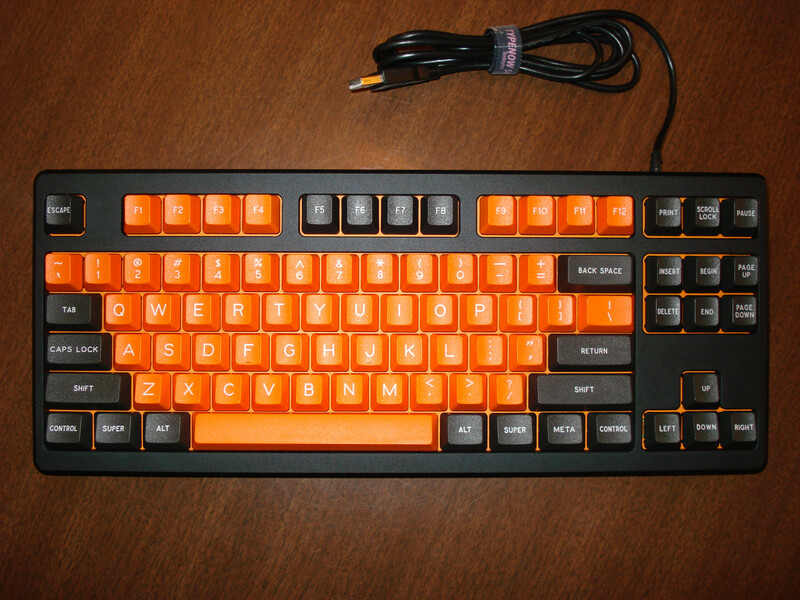 (#4) Cherry MX browns. Painted white top case. HID Liberation device. Runs my Easy AVR USB firmware. 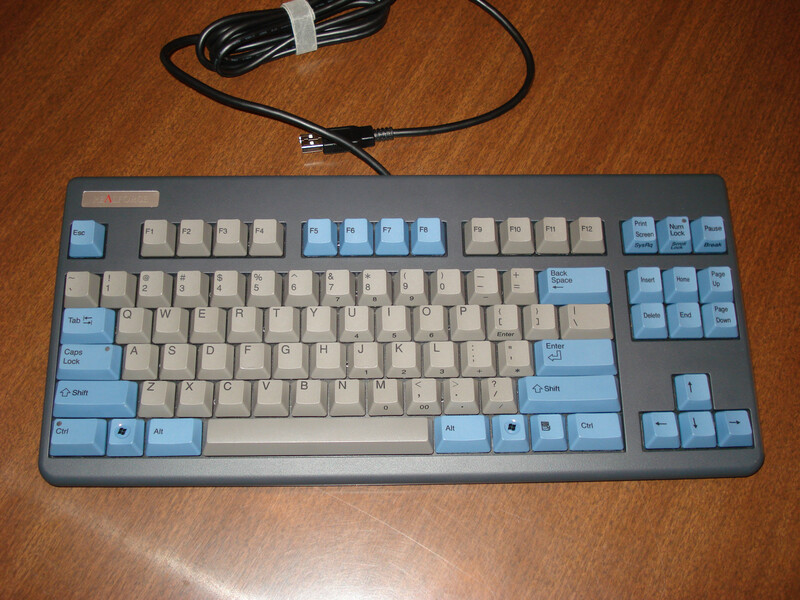 (#13) Cherry MX browns. Programmable. 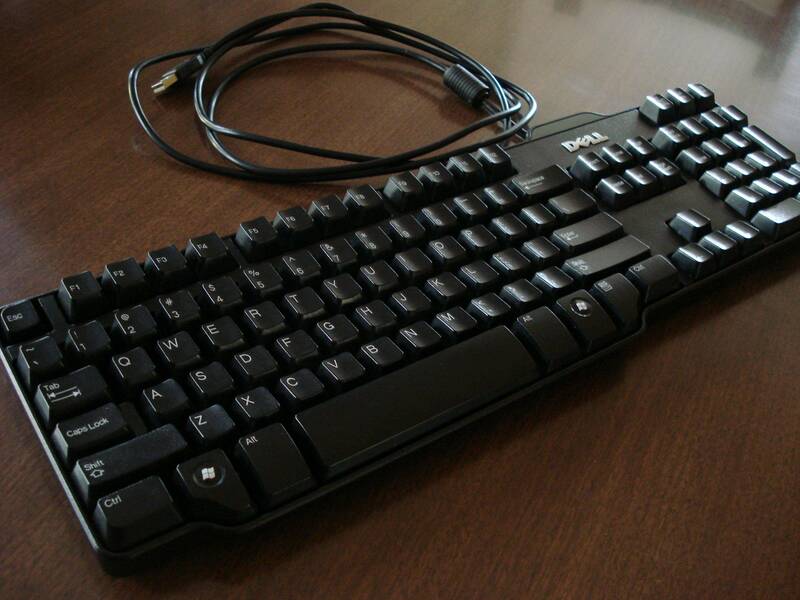 (#21) Cherry MX browns. 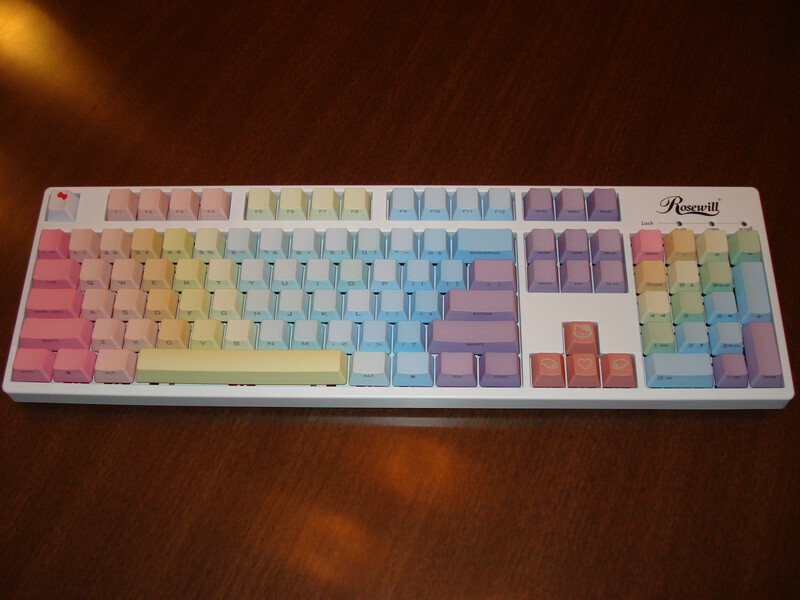 MKC PBT Rainbow side-printed, Chaos HK dyed/etched arrows, dysub "bow" Esc. Custom Black Petal controller. Runs my Easy AVR USB firmware. 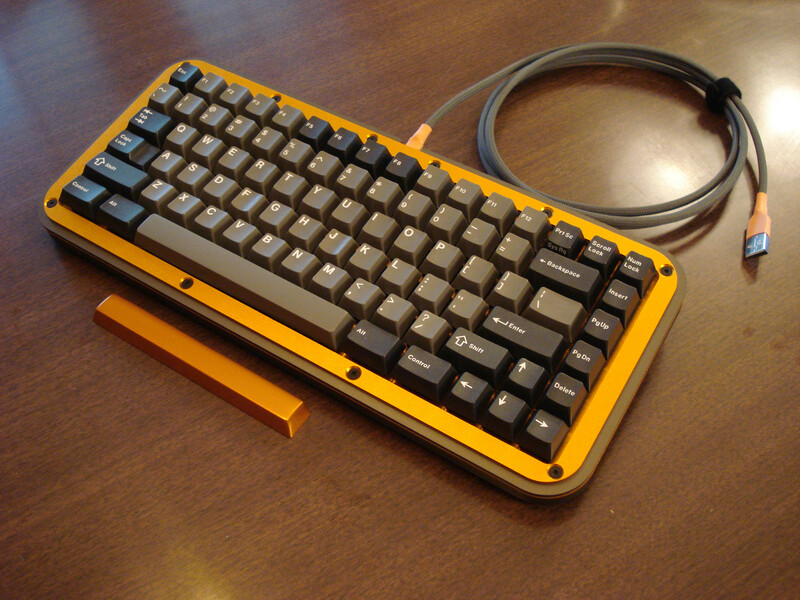 (#7) Titanium winkeyless, first edition with polycarb plate and blue/green/red/orange LEDs. Cherry MX clear with 55g springs. Lubed/stickered. Cherry black/beige. MiMic cable. (#9) Red/Red/Red w/half plate. Cherry MX clear with 65g springs. Lubed/stickered. 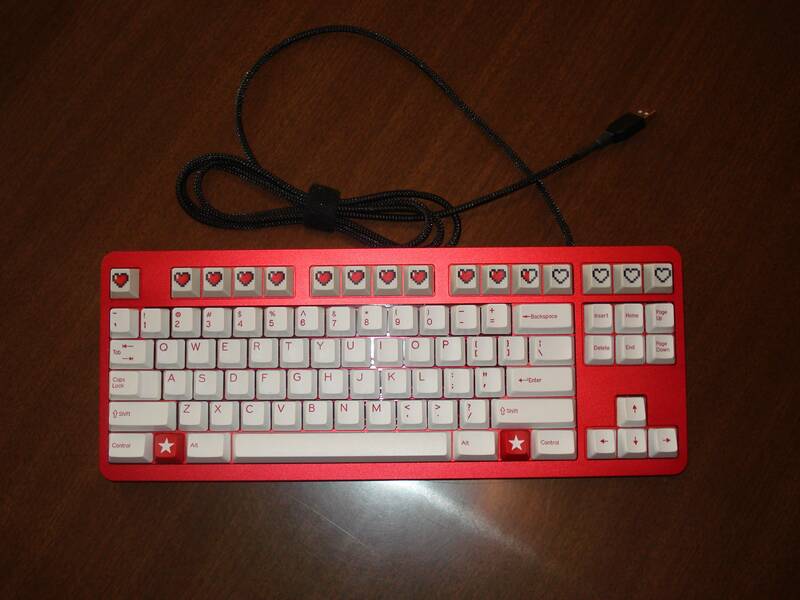 "Fake Alert" with retro hearts from techkeys. 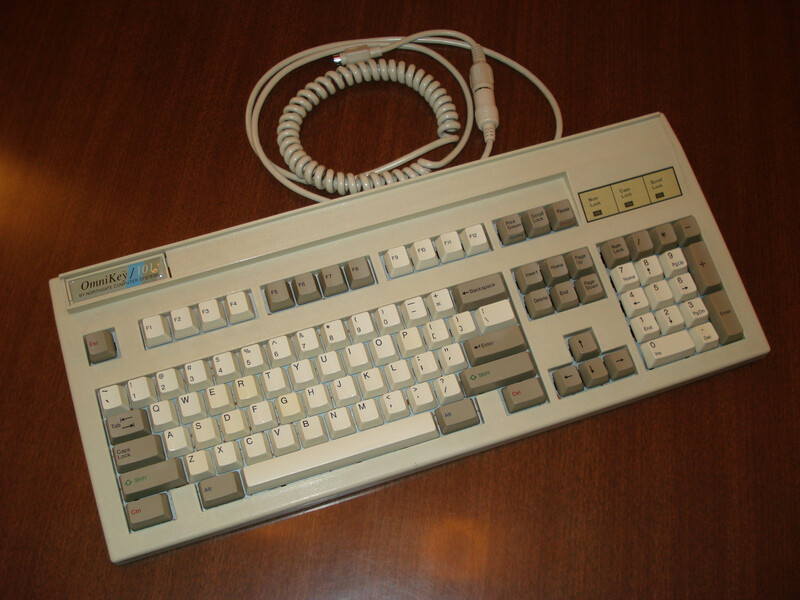 (#14) AKA KMAC 1.4, KMAC Evolution. 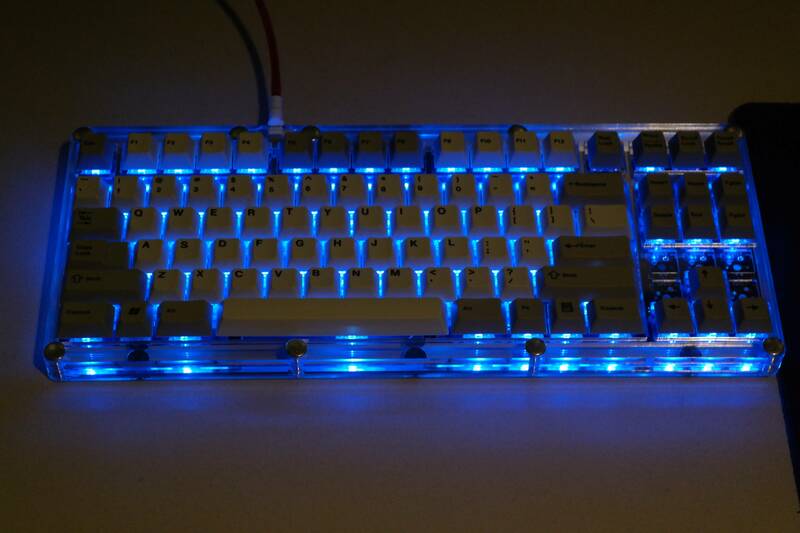 Titanium winkeyless with red LEDs. 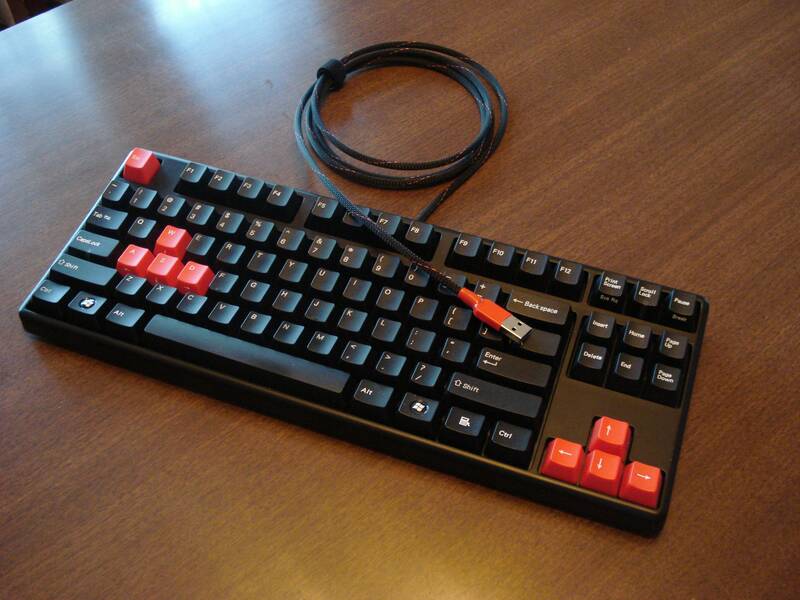 Vintage Cherry MX black with 62g springs and red stickers. WYSE keys. MiMic DSS cable. Runs my Easy AVR USB firmware. 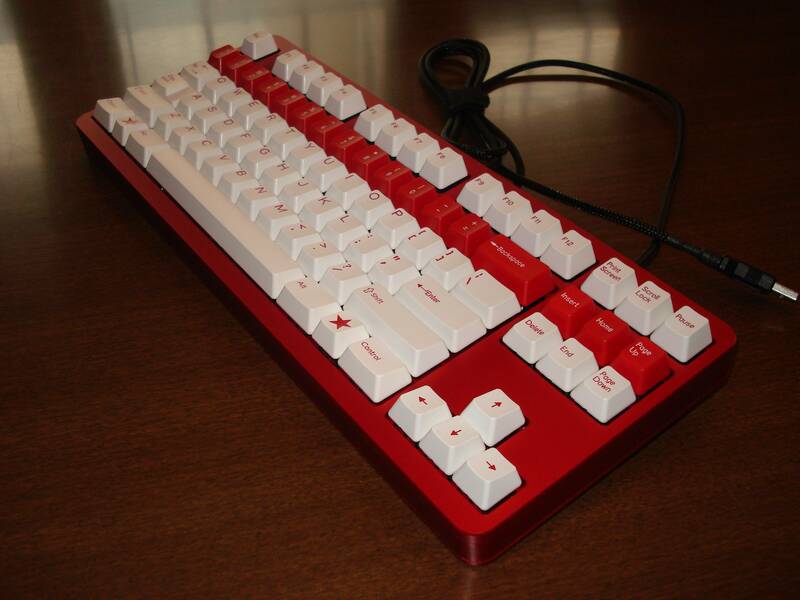 (#16) Red 86key. Cherry MX clear with 55g springs. White LED backlit. Lubed/stickered. Red on Gray Klaxon. MiMic cable. (#17) 87key configuration. Vortex aluminum case. 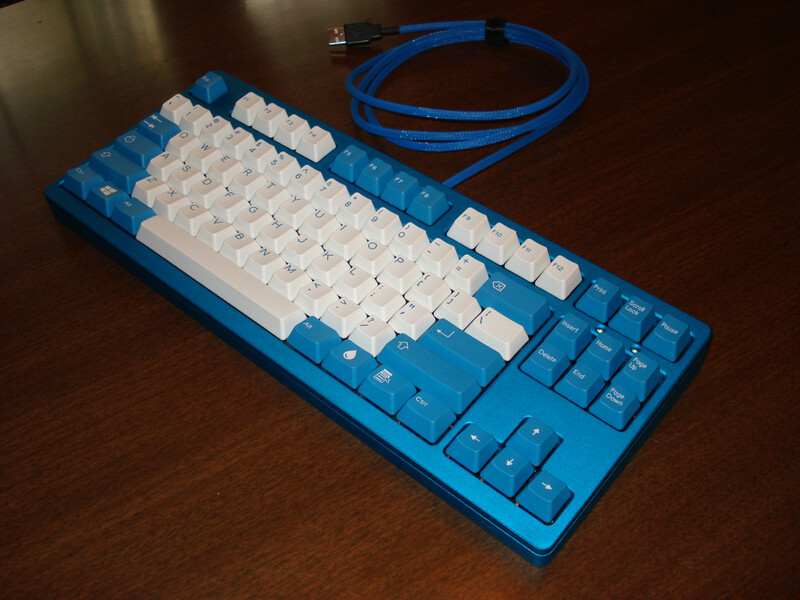 Cherry MX blue with clear springs. Lubed/stickered. Raindrop. Raccoon cable. Runs my Easy AVR USB firmware. 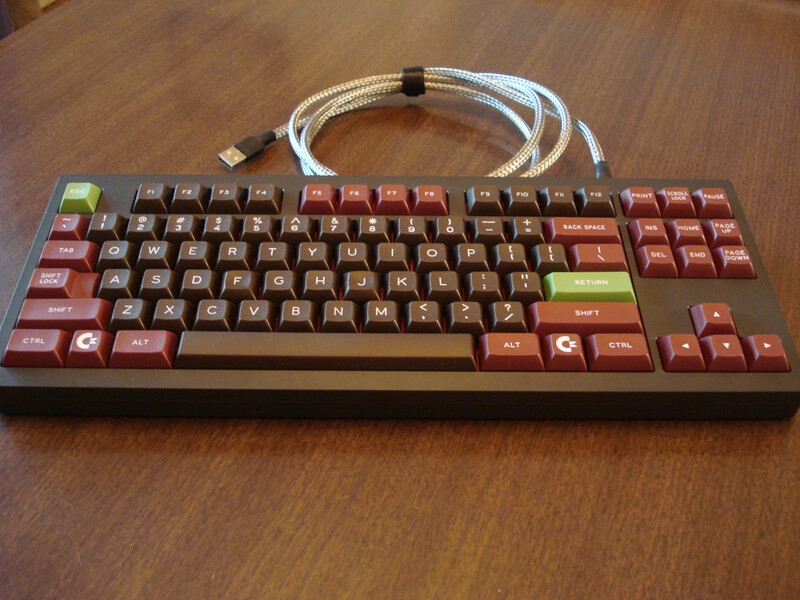 (#22) Cherry MX brown. Round4 R3-style Orange. (#24) Orange and gray anodized aluminum. 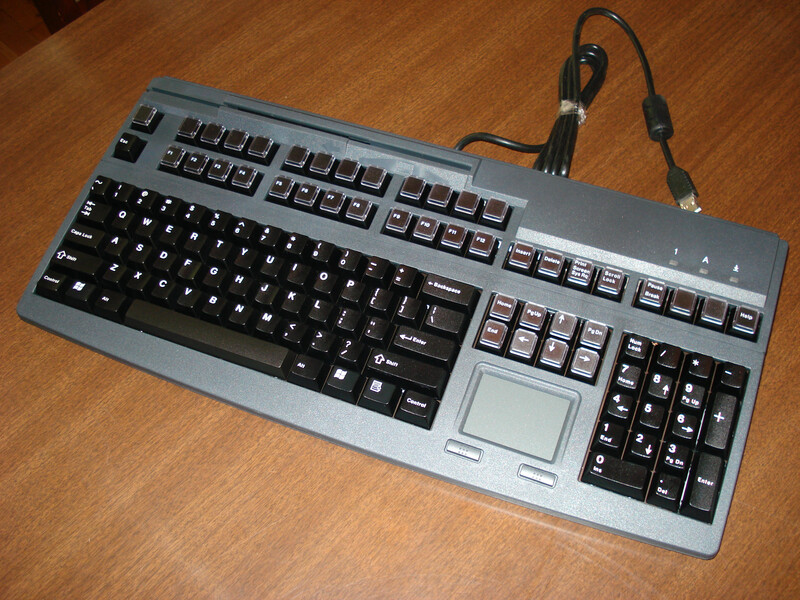 Winkeyless configuration. Cherry MX ergo clear. Lubed/stickered. 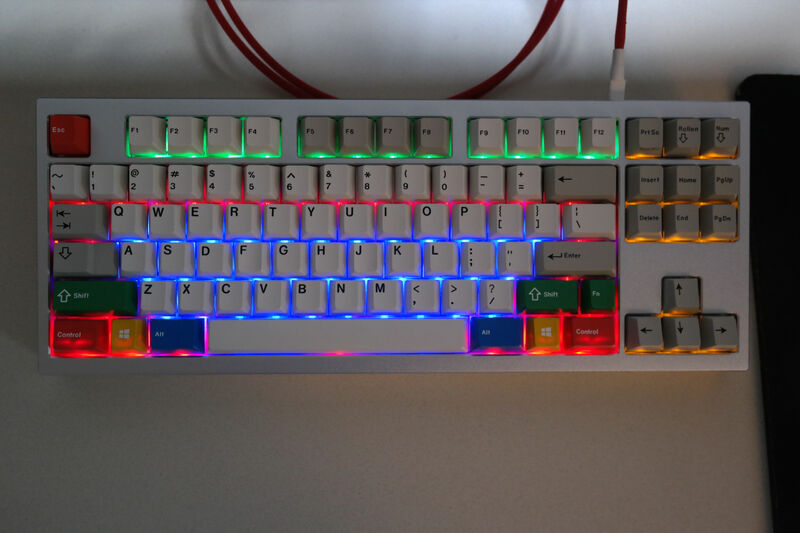 Rainbow LED backlit on F-row and WASD. 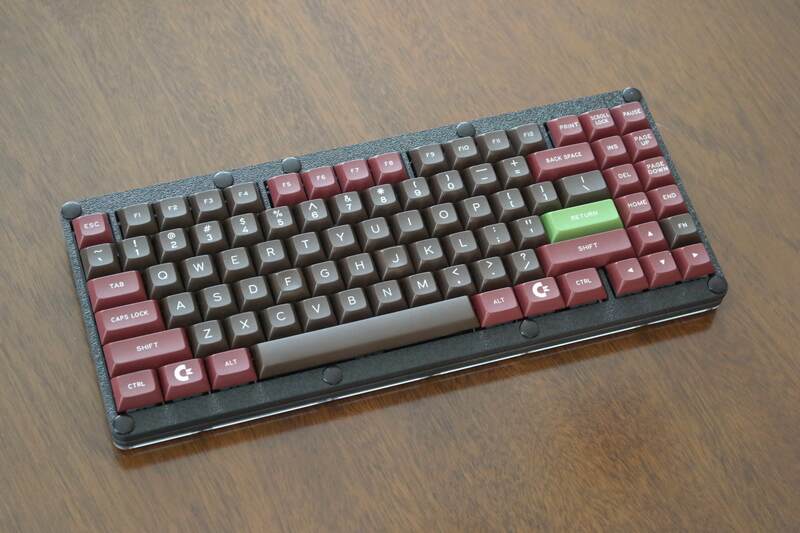 Vintage Cherry Dolch. 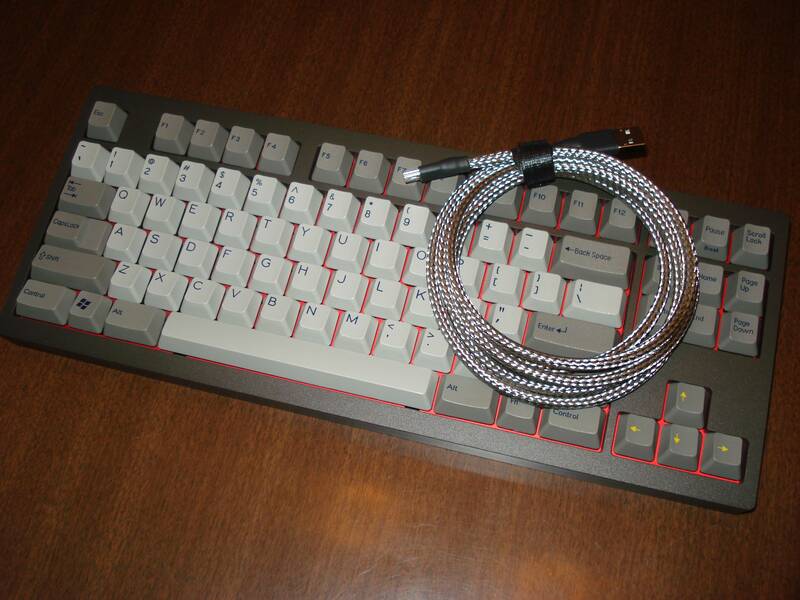 MiMic cable. (#25) Silver anodized top, blue-gray anodized base. 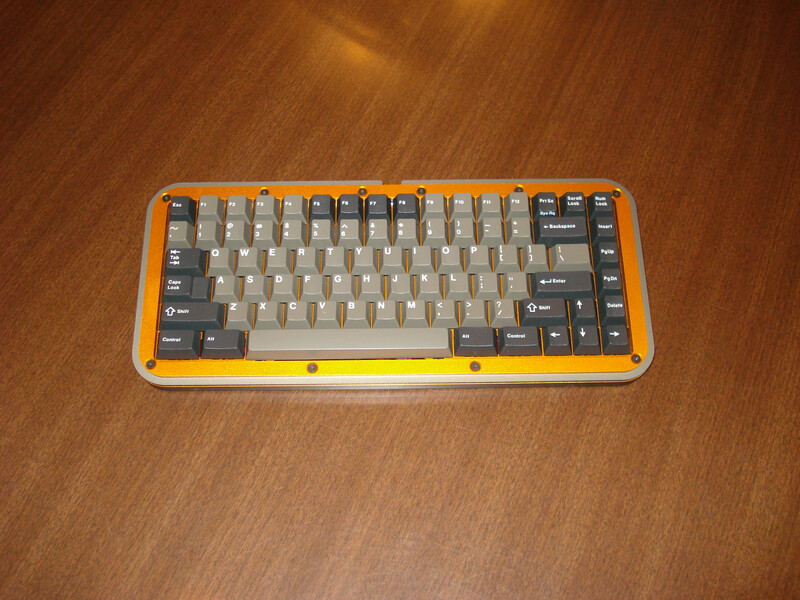 Unique 87-key layout. Vintage cherry MX blue, stickered. Full RGBY LED backlighting. 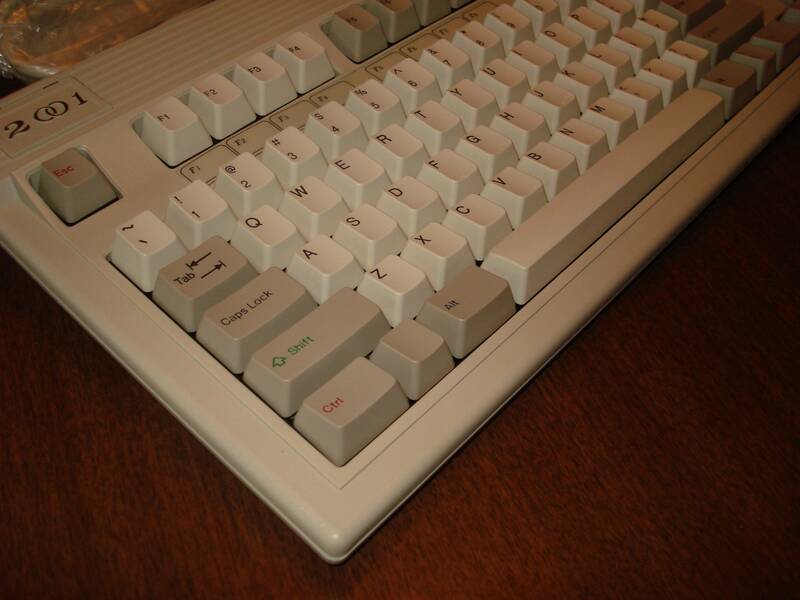 Vintage Cherry doubleshots (ANSI combined with German), with some GMK RGBY mods. 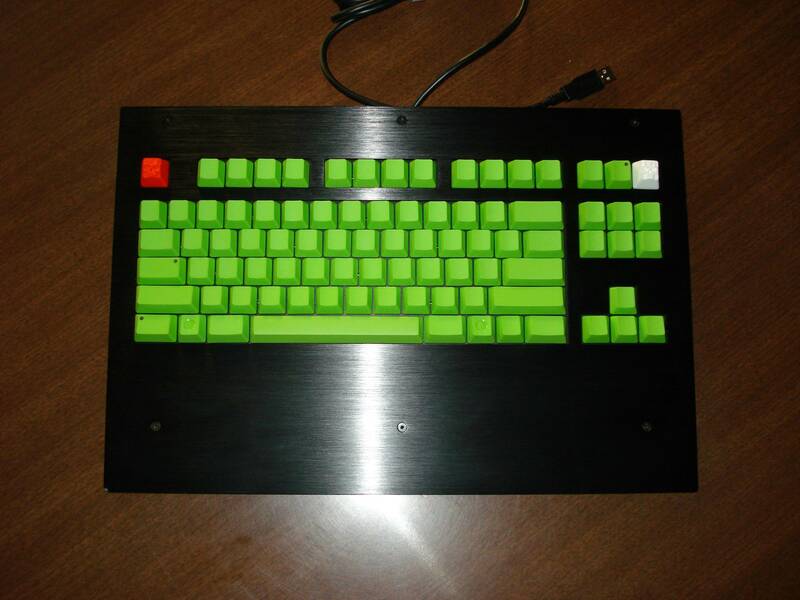 (#15) Cherry MX brown switches, green LEDs. Acrylic skeleton case. Runs my Easy AVR USB firmware. (#20) Named by SmallFry. 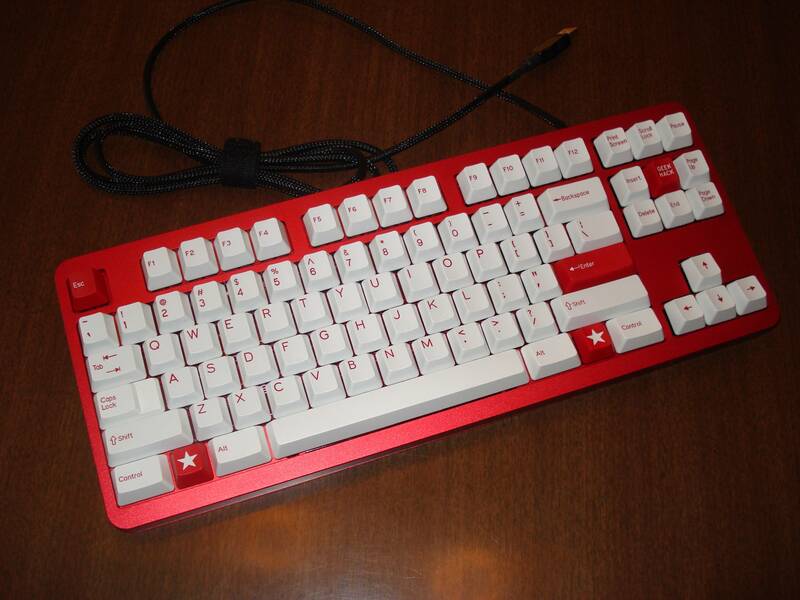 Cherry MX clear switches, red LEDs. Aluminum skeleton case. Runs my Easy AVR USB firmware. 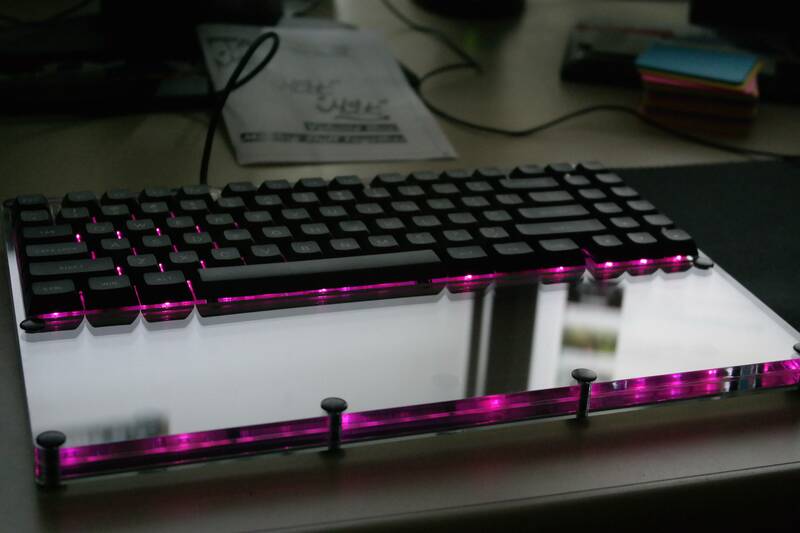 (#26) Gateron MX brown switches, pink LEDs. 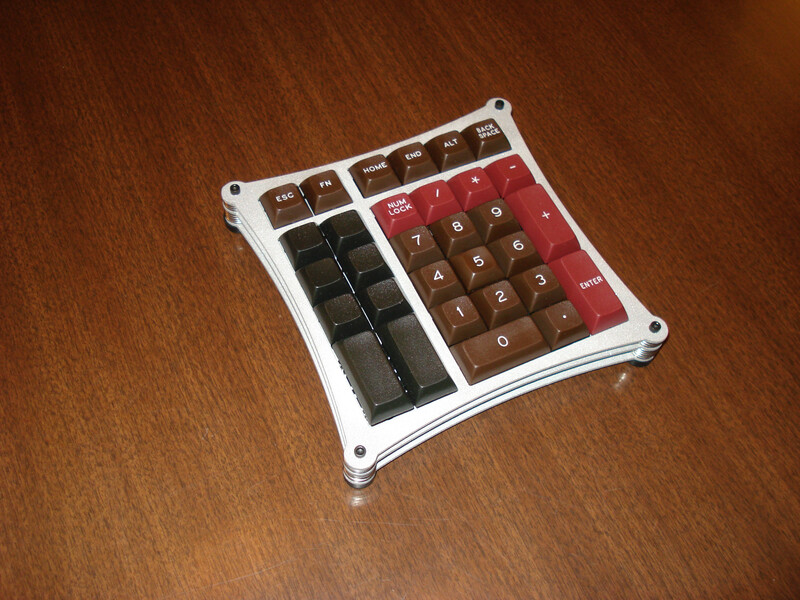 Acrylic case with wrist support. Runs my Easy AVR USB firmware. 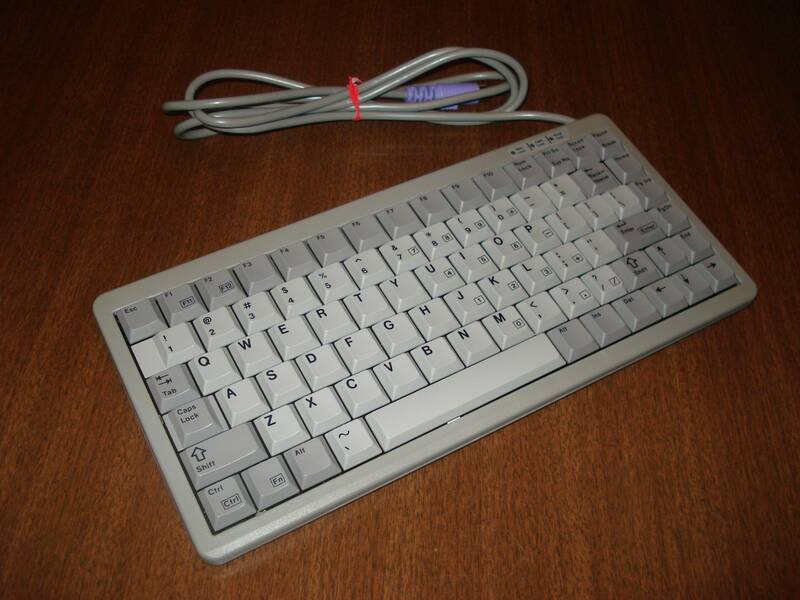 (#30) Gateron MX brown switches, warm white LEDs. ABS textured case with acrylic plates. Runs my Easy AVR USB firmware. (#27) MX black and MX Lock switches. 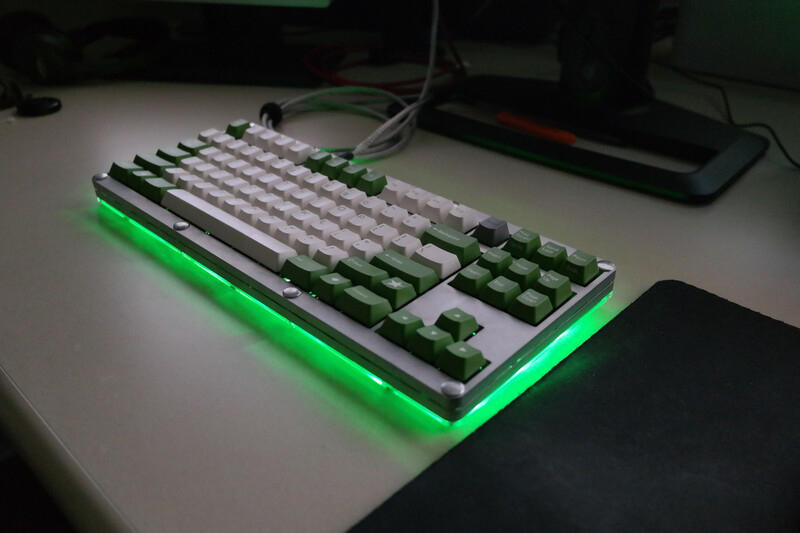 Green underglow. 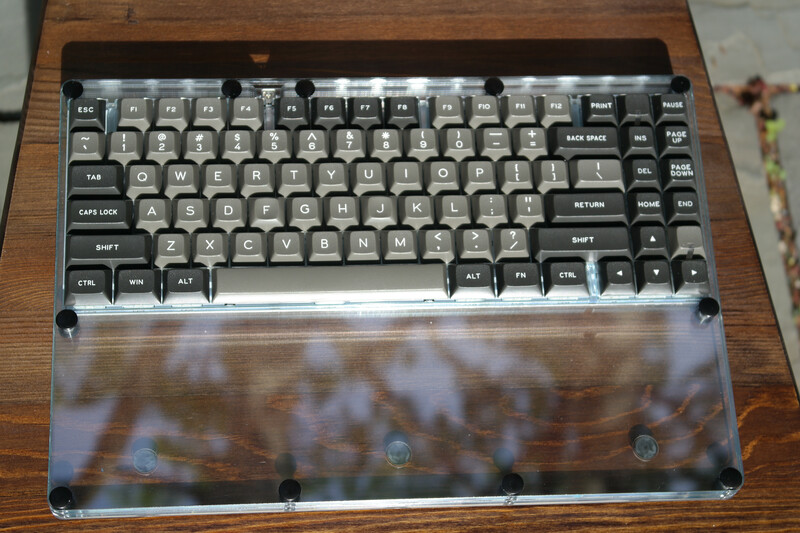 Aluminum case with acrylic plate. Runs my Easy AVR USB firmware. (#28) Zealio 65g switches. 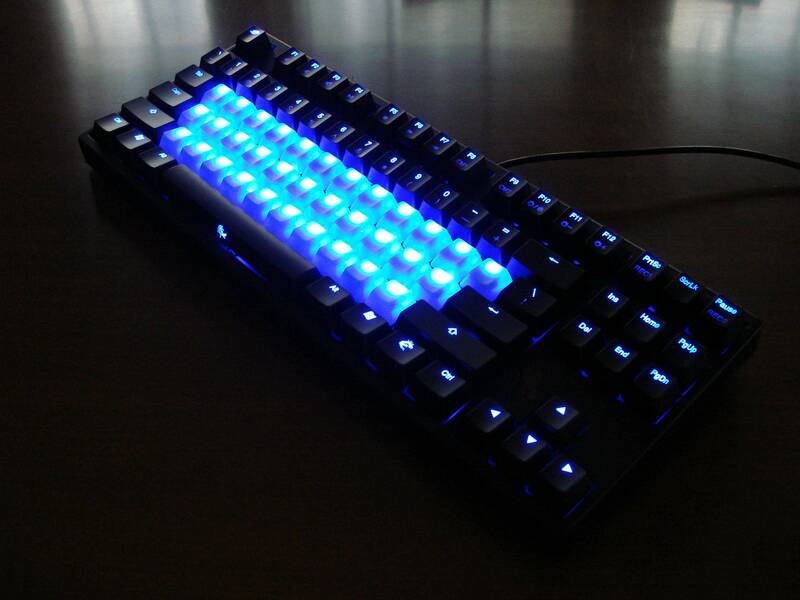 Blue LEDs above and below. Acrylic case. Runs my Easy AVR USB firmware. (#8) Bluish legends, salmon Alps, made in USA. (#19) Monterey blues (SMK Alps). (#11) Cherry ML. Dye sub. 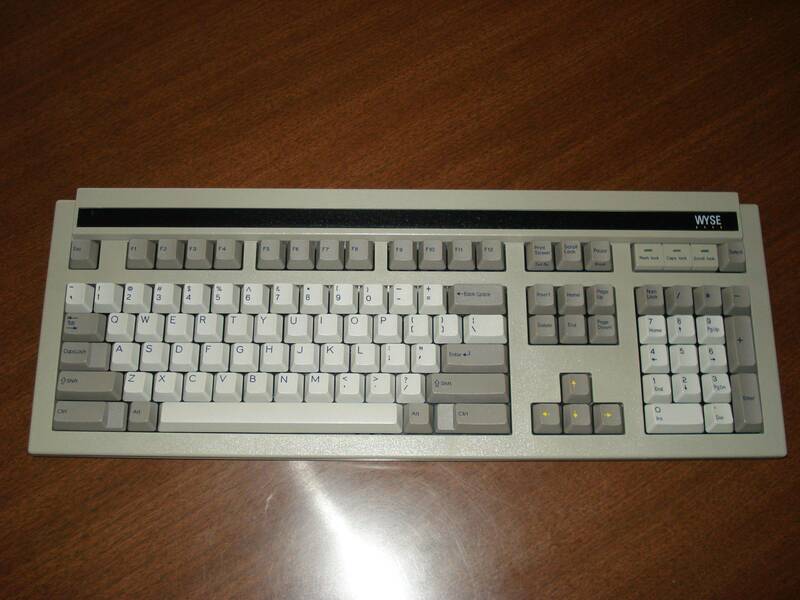 I love the simplicity of the Leopold FC200R. 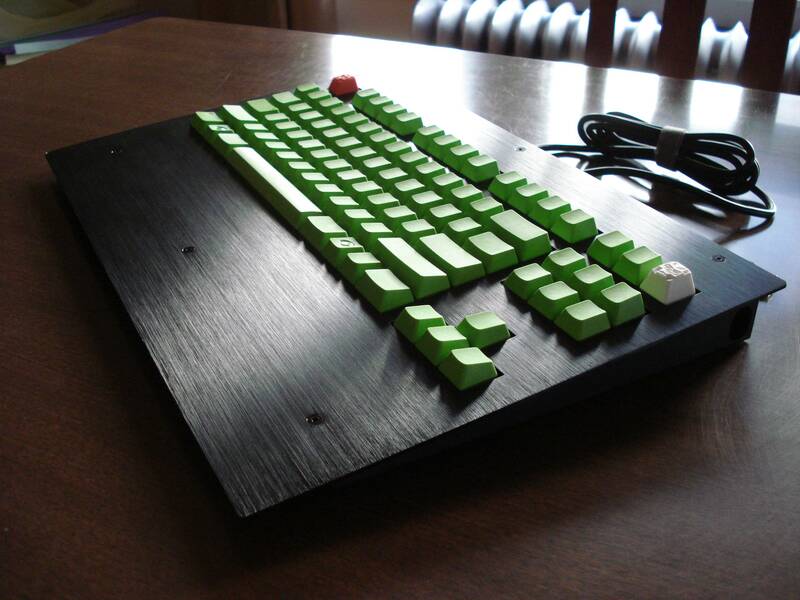 If needed, it only needs a few colored keys to be both minimalist and aesthetically pleasing. Yes I love that Leopold. It gets the most "loving"
Man oh man! That Focus FK-2001bring back memories. 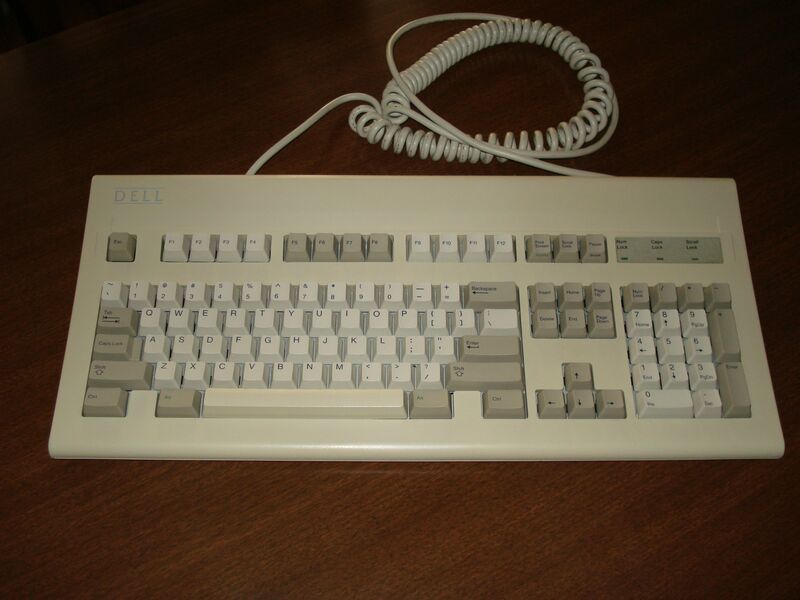 I had that exact keyboard and cover on my first 486. Good times. Wow nice collection! 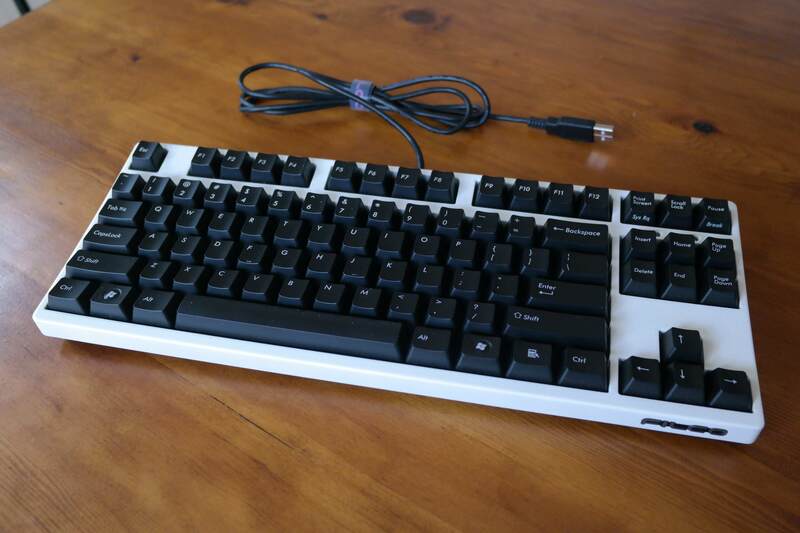 That white Filco case looks amazing. How do you like the FK 2001, bro? 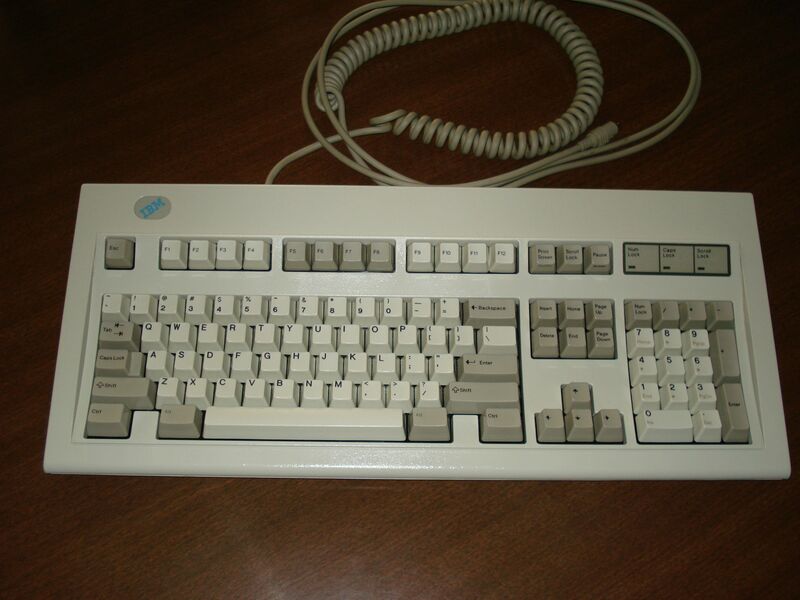 I haven't used Alps a whole lot. I did like the feel of white clicky's on another board, but not enough to stick with it. 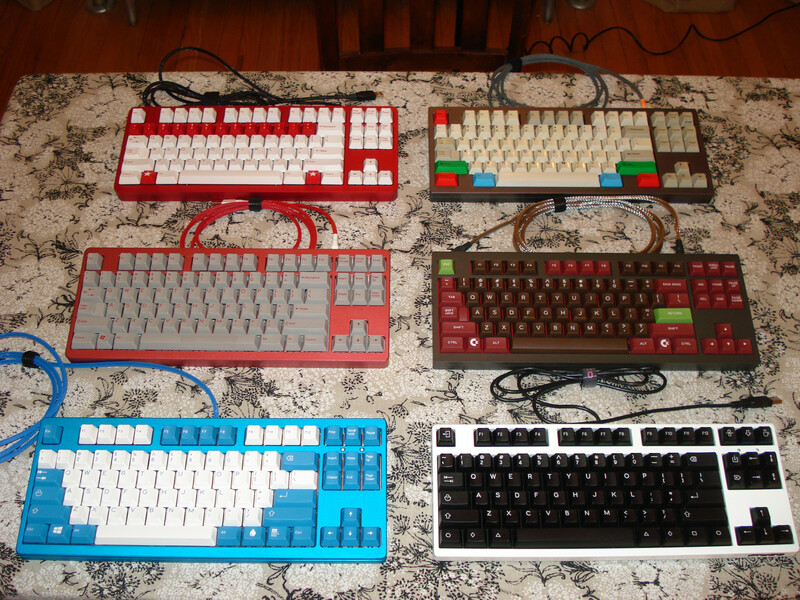 I know AKIMbro has a collection of Alps switches. He would know best. 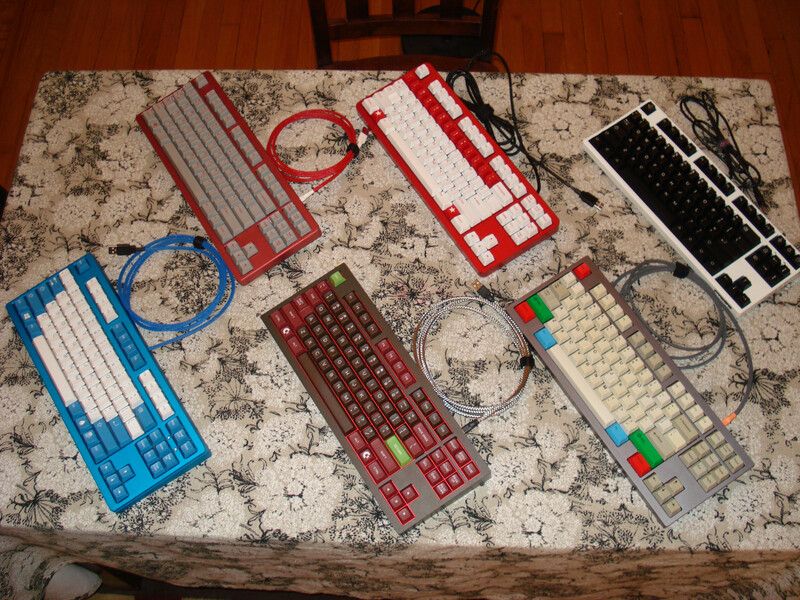 srsly sexi topre! and that fc200r too! 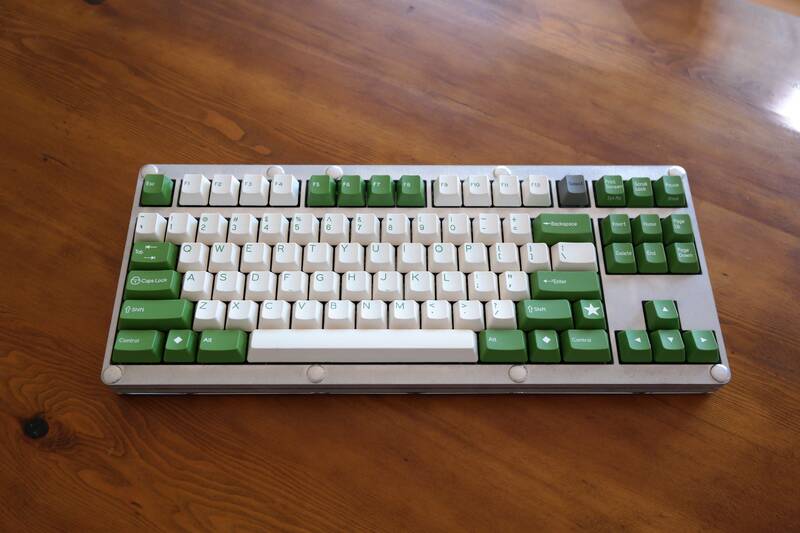 That Fk-2001 is in some amazing condition, and I have no words for that Topre other than wow. Love the RBGY's on that Filco. Where did you get them? Very nice collection of boards! 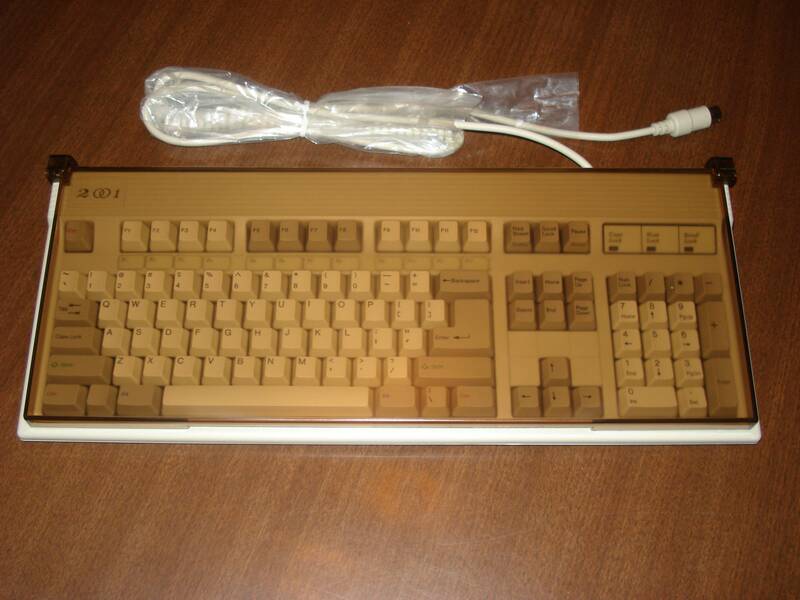 Just curious, did your Leopold FC200R come with those extra colored replacement key caps? 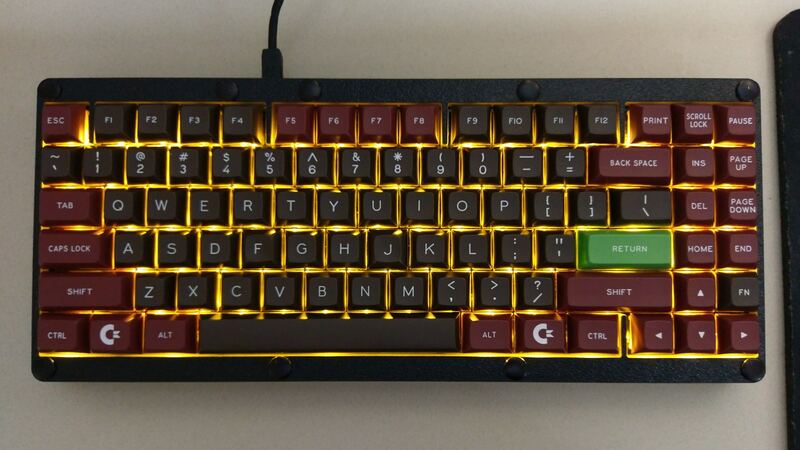 And what are those white key caps you have on that Ducky YOTD? Please do NOT PM me regarding finding deals for specific products, I do not take personal requests! For the record, the alps in those NOS Focus2001 boards are horrid. The white alps in my Northgate 101 feel completely different than the white alps in my NOS Focus. The red keys on the Leo all come from EK. They automatically include some of them when you buy the board. The keys on the dragon are the crystal keys from Boiler's Breaking Bad set. 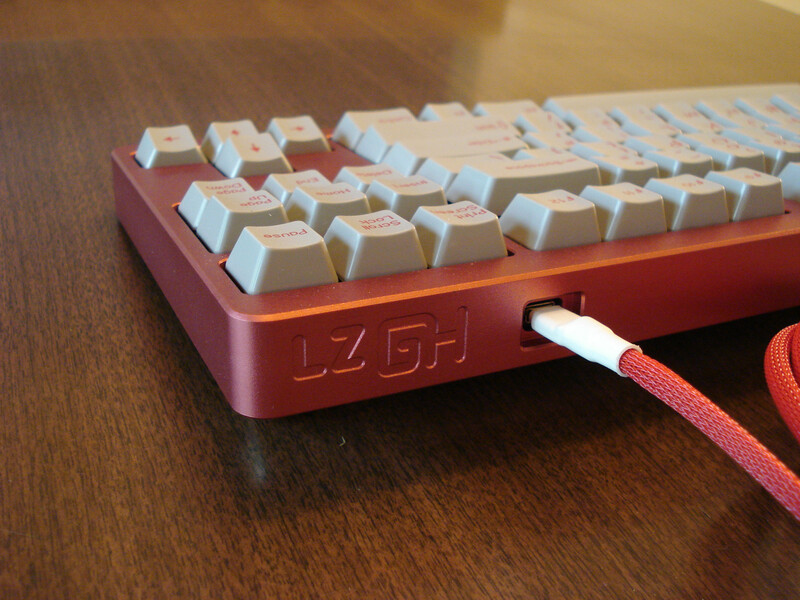 The RGBY is a Hashbaz set combined with one of the geekhack keys. Thanks for the kind words everyone, I hope to see some more collections posted too! Really cool collection. Thanks for posting pictures! Please tell me that Dell Quietkey is rocking the rubber domes. Heh, sure is. 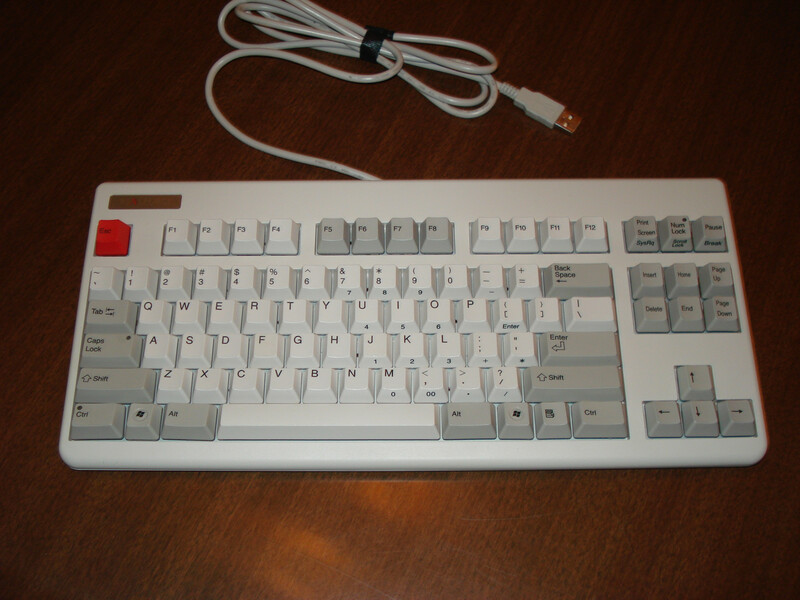 Perfect gaming keyboard I've put many hours of Quake 3 through those keys! 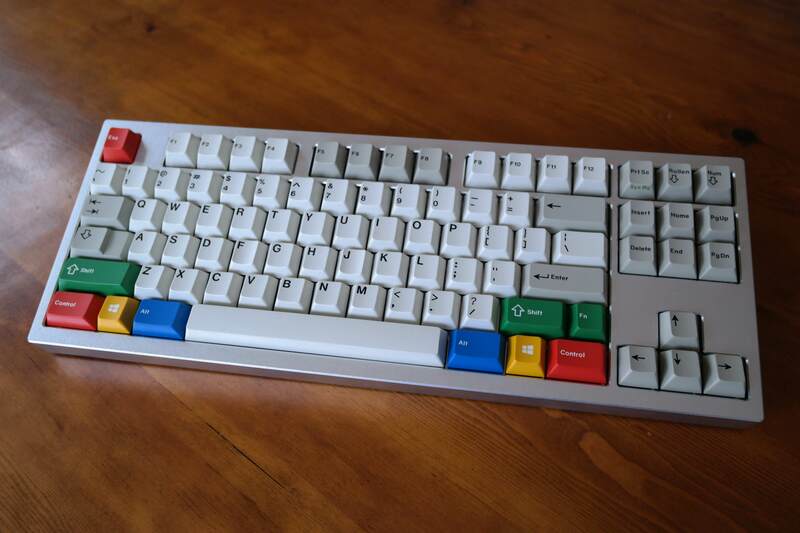 That realforce looks like fun. Lol, u can chop a fish at that bottom palm rest. Quite useful. Hell yeah. I used to play SC2 on a Microsoft 4000 lmao. 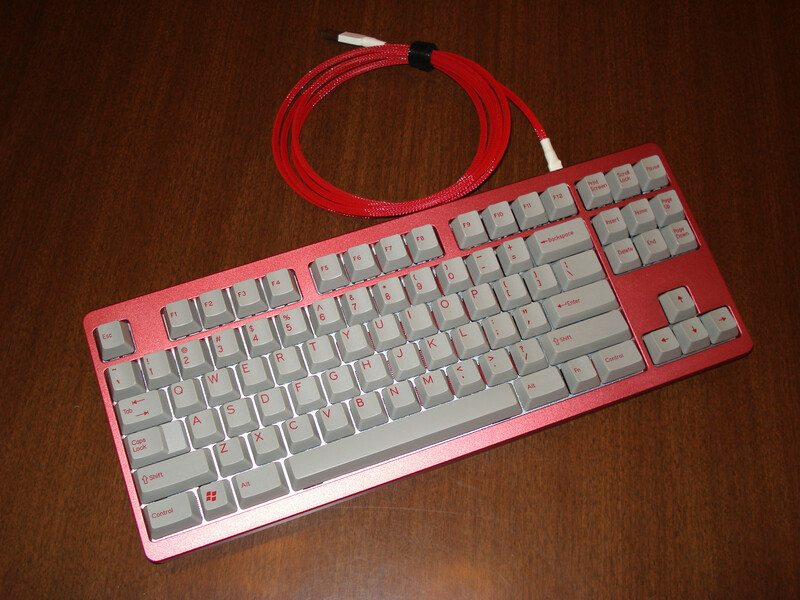 I have a similar Leopold, just without all the keycaps (only have the Red esc). 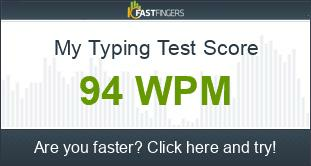 It's a good keyboard and a great starter. 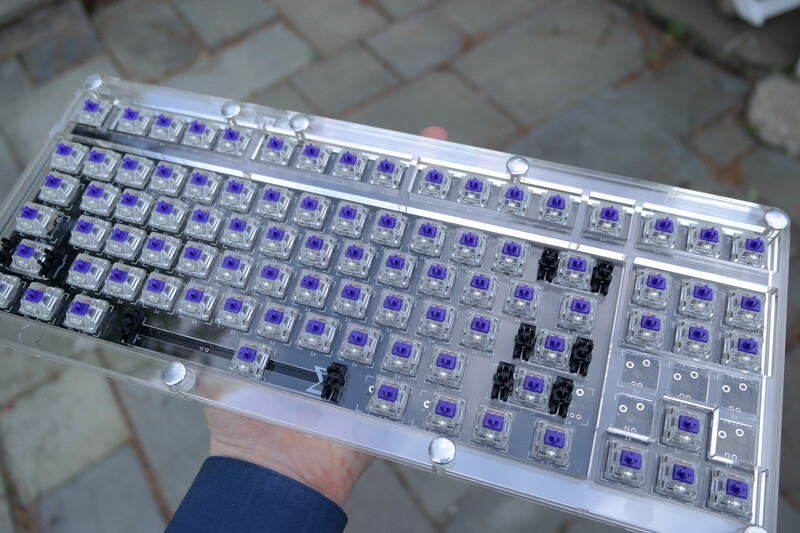 Do you prefer the 55g ergo clears or the 65g ergo clears? 55g all the way. I like light switches, so red better than black, brown better than clear, etc. 55g clears are the best I've ever used except topre. Naiceee collection! 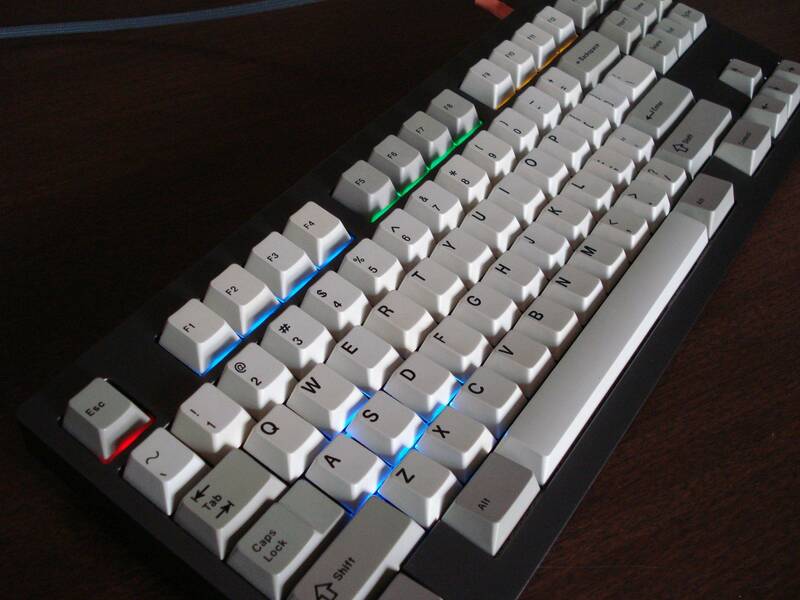 I have a similar filco with black doubleshots, rgb but my arrow keys are like those in your leopold =D About those 55g clears on your kmac, I've read that spacebars should have heavier springs to feel good since the cap is bigger. Is that an issue? or do you have a different switch under there? And I hope I'm not out of line here but I have that Topre case too, if anyone really wants it make me a realistic trade offer Still haven't decided whether to keep it or sell it but if you've got something of equal value/"rarity" i could be persuaded to part with it. I agree about the spacebars. My Ducky has blues with a green spacebar and I think that is definitely appropriate. 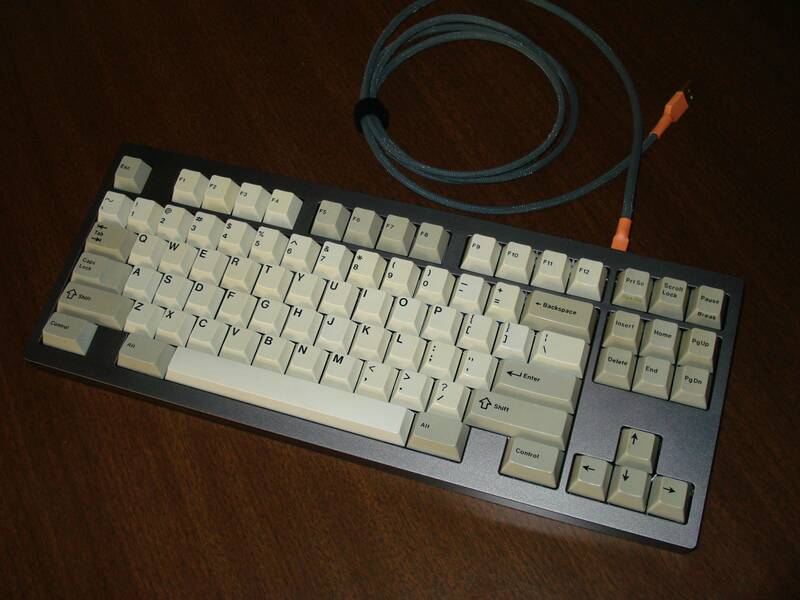 My Filco with browns can't really handle the weight of the aluminum spacebar. In the case of the 55g clears, the tactile bump on the clears is plenty to hold up the cherry 7x spacebar and it feels just fine. On a future build, I am going to use 62g vintage blacks but leave the usual black spring on the spacebar since they are linear. Finally added pics of the Cheat wearing a few different outfits. Lets see those collections, people! Probably finish the build next week. Then I can put it through the paces. This doesn't really belong in any other thread so I'll put it here. I decided to get my customs out for a family photo today. Yes that is a Filco, but it has a HID lib device and a custom paint job. Close enough for me. Once again, I love your collection. Could you say where you got that Realforce case? It looks and probably feels amazing. From Tsangan, who got it shipped from korea. Actually I got it from Taobao through qtan. I bought the last one. So both of these cases on GH are dinged? Great collection! Your Phantom and KMAC2 set ups are my favorite. Thanks. I really like my TKLs. I thought my wife's tablecloth would be an interesting backdrop and I wanted to see that Cheat next to the LZ and the Phantom.